This is a list of films that capture the audience’s attention almost as soon as the first image fades in from black. These images are so arresting that they carry us through the whole film and reflect something important about the film as a whole. The ambiguous mise-en-scene of Cache perfectly matches the ambiguity of the plot, and all of this is setup perfectly in the opening shot of Cache. The seemingly normal shot in the opening is deceptive which is mirrored by the similarly deceptive closing shot of the film. The film fades in with the shot of a street with the camera pointing at one house which is eventually revealed to be the main characters’ house. At first, the shot seems to be a POV shot of someone watching this house, but it is revealed that this is actually the tape that was sent to the main characters. The deception of the shot comes from the credits rolling over the shot which makes the audience think they can relax on the shot. 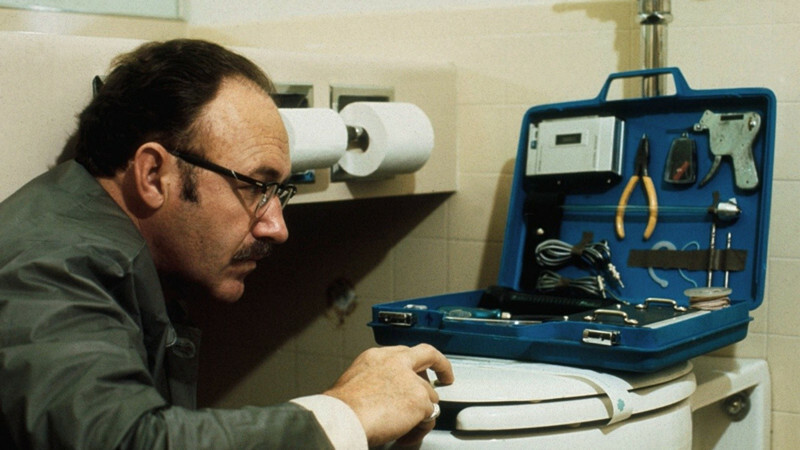 This is what leads the audience to relax on the final shot of the film that seemingly reveals the answer to the film’s central question, however, the opening shot also reveals the nature of the films theme: privacy. This tape has nothing on it that is threatening, yet the main characters still feel nervous as if they have something to hide which is most likely caused by the invasion of privacy that is suggested by this single shot. Michael Haneke has crafted a film that seems more relevant than ever, and through his opening scene, Haneke reveals that the scariest things in the world are provided by the audience’s own sense of paranoia which is highlighted by the fact that the person or persons sending the tapes never ask for anything or even threatens the main characters, and yet, the main characters still go spiral down as if there was a problem they were facing. 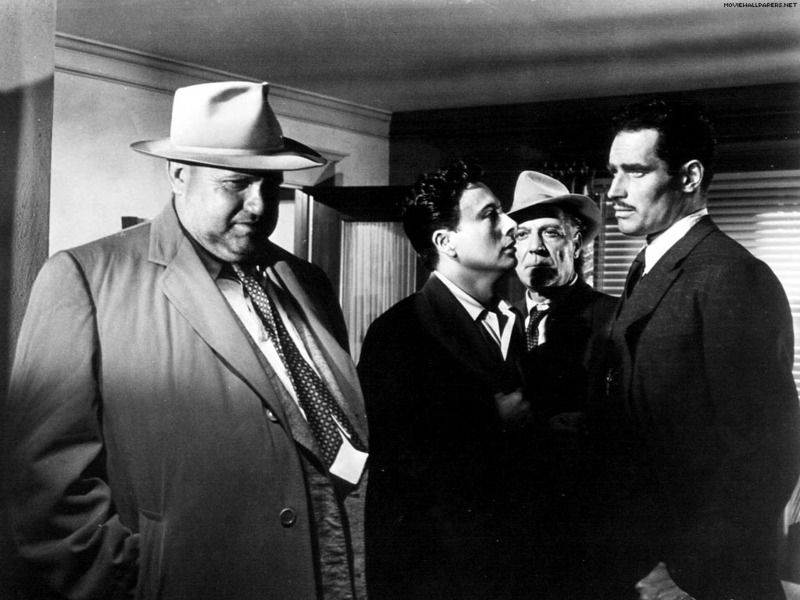 The 1998 version of Touch of Evil contains an opening shot that perfectly encapsulates what Alfred Hitchcock describes as suspense, and Orson Welles achieved this in a single shot that he uses to add to the tension of the scene. In the 1998 version, the scene doesn’t have any credits which only adds to the atmosphere that anything could happen. The shot fades in with a close-up of a bomb which is the only thing on the audience’s mind throughout the opening scene. The camera then follows this car and a couple, and as the camera passes each place, the audience really gets a sense that this is a realistic world with real consequences which again only adds to the suspense of the scene. This is to say that the scene is purely abstract in the sense that the suspense is created with no narrative other than the fact that there is a bomb in the trunk of a car that could explode at any time which is similar to the purely abstract crop duster scene in North by Northwest. The opening to this film may be great, but the closing of this film is possibly greater which is to say Welles had great openings, but he had endings that will completely imprison the audience in a lifetime of thought. 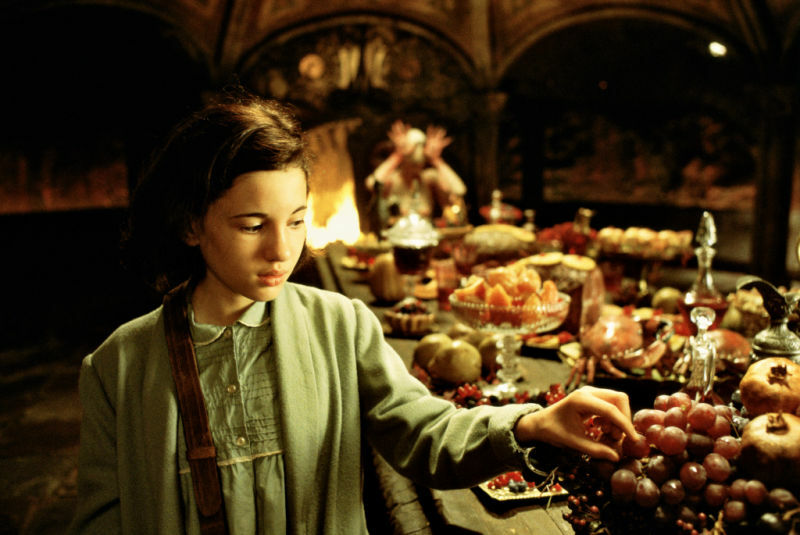 Pan’s Labyrinth opening shot is of a black screen with a humming that sounds magical. Then words fade onto the screen, “Spain, 1944”, and once those have faded another set of words fade into the screen, but this time instead of setting up the setting with facts, Guillermo Del Toro decides to set the setting with information regarding specifics about the plot of the film. Then the screen fades in to this tracking shot that seems to move from below the ground to ground level where the audience sees a girl who is dying, but then the blood starts to go back into her nose, similar to something Jean Cocteau might’ve used in his film, which explains the tracking shot starting from below ground: she was dead, but we are witnessing her resurrection which is mirrored by the continuation of this scene later on in the film. Beginning with the ending also adds a feeling of destiny because no matter what occurs throughout the remainder of the film, this little girl is going to die and then come back to life. The film then cuts to this magical realm and the narrator begins to tell the story of this princess who lived in the underground realm where she dreamt of the human world which she eventually escapes to and dies in, however, the king believes that his daughter’s soul will return to him even if it is in another body. At this point, the camera is back in reality or at least the human world, and then camera cuts to the hands of someone reading this fairytale book, and then the camera reveals that this is the little girl who the audience saw come back to life. The camera in the opening scene acts as a POV shot of the little girl’s soul coming from the underground realm back into her body which is why that shot ends with a close-up of her eye which is the window of her soul. The opening scene creates a mirroring affect between the princess and the little girl who are both one and the same, but the princess was obsessed with the human world, but she died, whereas, this little girl is obsessed with the underground realm, but she died. Both of these girl transcended their bodies in their world to be apart of the other world. The opening is a beautiful representation of destiny as well as great storytelling that captures the audiences attention from the first frame. The opening image of Waltz with Bashir is of a grey city with a yellowish sky that is mirrored in the director’s own “memory” later on in the film. The camera is tracking backwards anticipating the dog that comes from an ally and begins to chase something beyond the camera or maybe the dog is chasing the camera. This could be seen as a metaphor of sorts the dog representing the director and the camera representing truth which is what the director is chasing throughout the film and much like the dog, the director captures as much of the truth as he can through the accounts of others in regards to the event that haunts the director throughout the film and seemingly his whole life. The music in the opening scene underlines the intensity of watching a dog chase after something, and eventually, the dog becomes dogs, and the audience realizes that the dogs aren’t chasing after something, but rather running towards something which also seems to mirror the director’s achievements with this film. 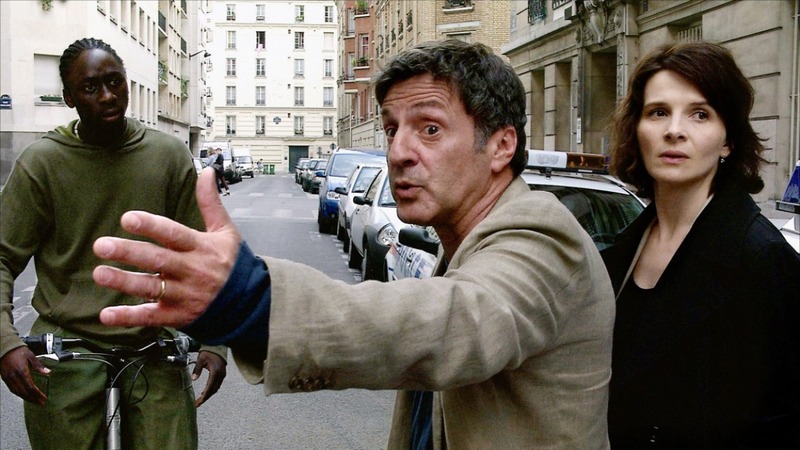 The intensity of this scene only subsides once the audience learns that it is a dream that is founded in some truth as the director suspects of his sole memory of the event in question. Waltz with Bashir opened up with this scene because chronologically this is where the film begins, but opening the film like this with a dream as intense seems to be mirrored in the director’s “memory” that sparked the creation of this film to begin with. 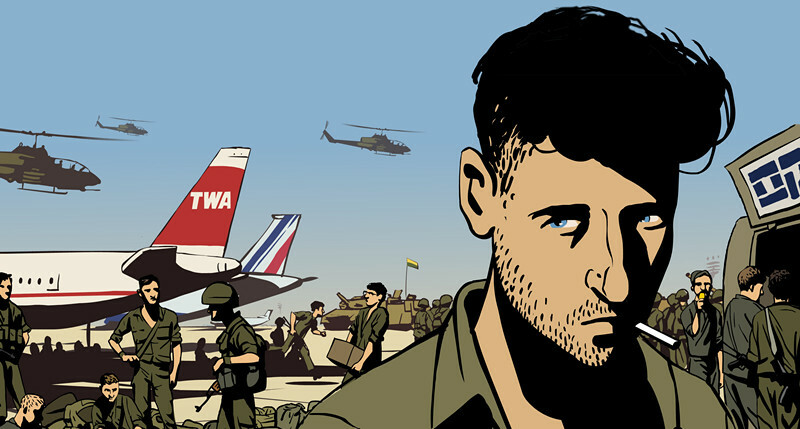 This is only to say that Waltz with Bashir has such an intense atmosphere that the story doesn’t need any reordering of events to imprison the audience in a world of complete suspense that when the director pulls the curtain back to reveal reality to the audience, one can’t help, but feel the weight of the world collapse on top of them. 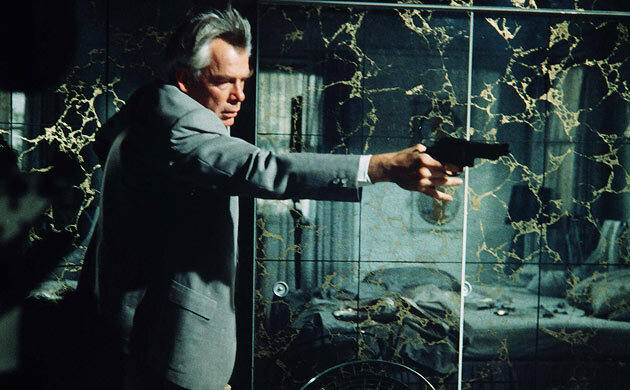 The opening sequence of Point Blank plays with time hence the term sequence because the way John Boorman orders the events and manipulates time can hardly be described as a scene since in any normal definition of a scene the opening of Point Blank would be more accurately described as many events compounding into what seems to be a singular event. This isn’t to different from the sequences in Alain Resnais’ Je T’aime, Je T’aime which is only to suggest the influence that the French New Wave had on Point Blank. The opening sequence tells the nonlinear story of the main character being double crossed, however, Boorman’s images are full of so much intensity that most of the shots are fragments because anything more would take away from this intensity. The first image the audience sees is red which matches the intensity of succession of shots that follow. The face of a man emerges from this red, and then the dreaminess of this scene is interrupted by the sound of a gun shot and the camera cuts almost as violently to the the man the audience just saw getting shot several times. What follows after that is a nonlinear story that sets up the main character’s motivation for the rest of the plot which is also nonlinear. This all to say that Boorman doesn’t need more than 30 seconds to get the audience hooked for the rest of the film.